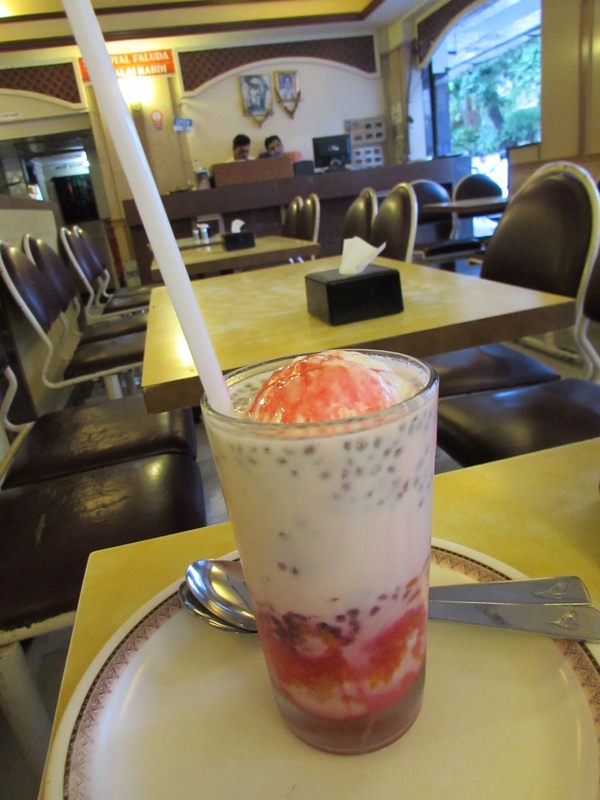 Kailash Prabat Restaurant is recommended in a number of foodie travel guides. 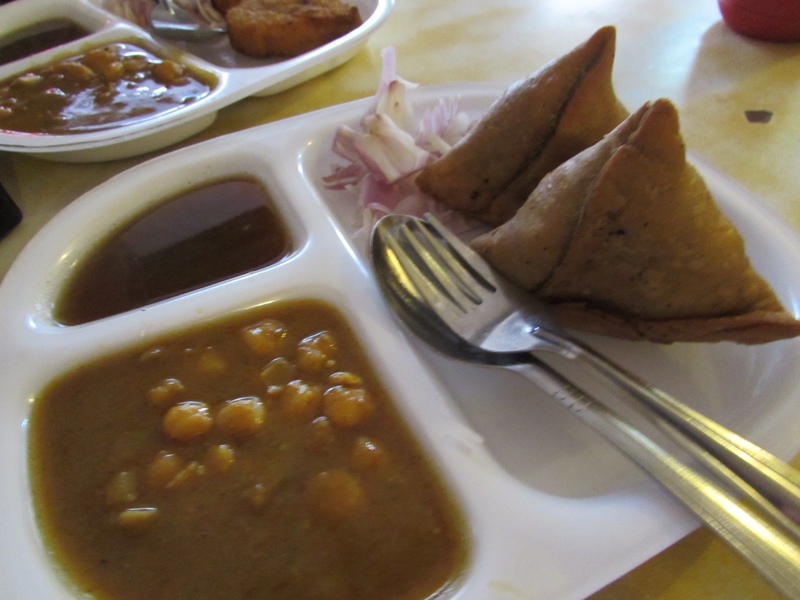 It’s easy to find, prices are very affordable and its a good opportunity to try a number of different local dishes. 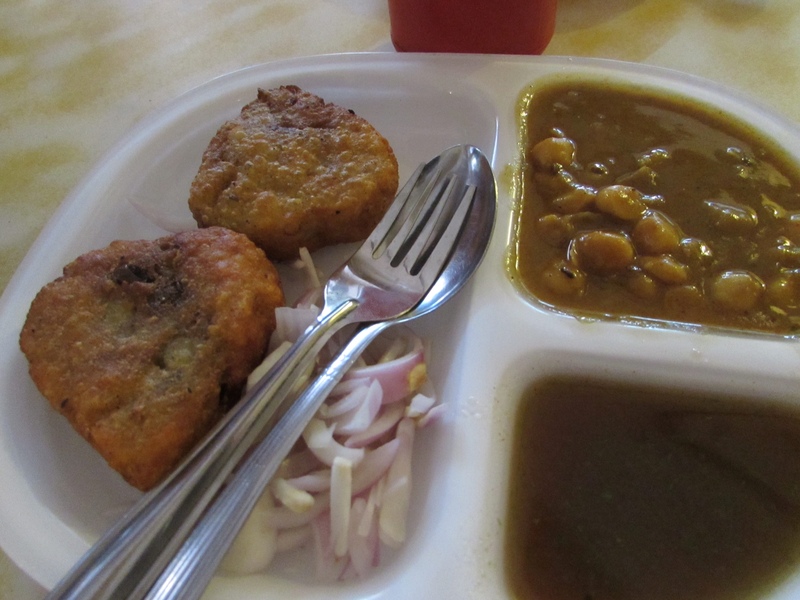 My favourite was the Dal Pakwan (chick pea dal with crispy fried chapatis, pickle and onion). 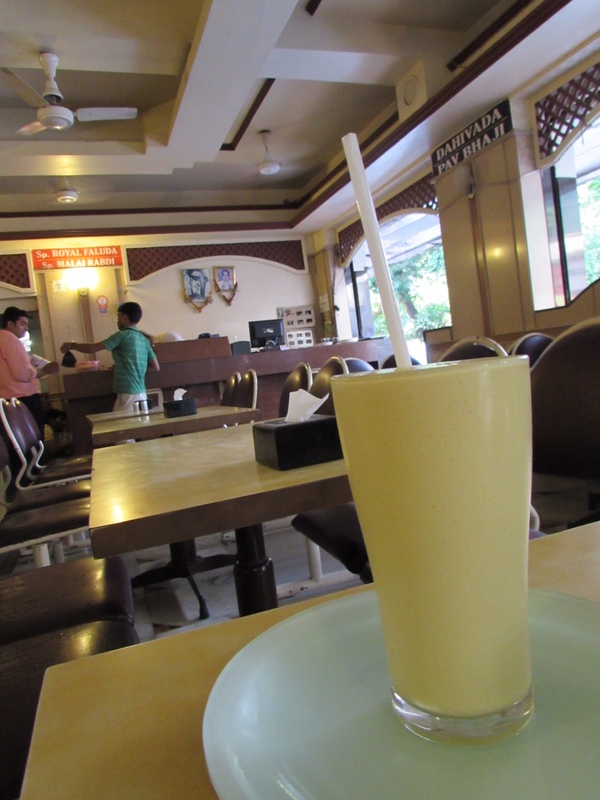 The mango lassi was very good too. 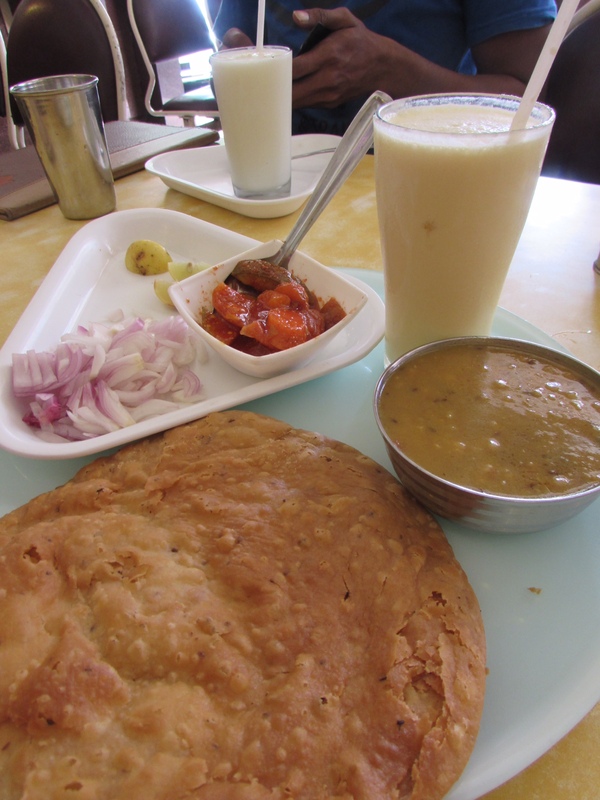 We also tried the Ragda Pattice ( Pattice of white beans and potato served with spiced chick pea stew and tamarind chutney), samosas, Special Royal Falooda, and Falooda Kulfi. 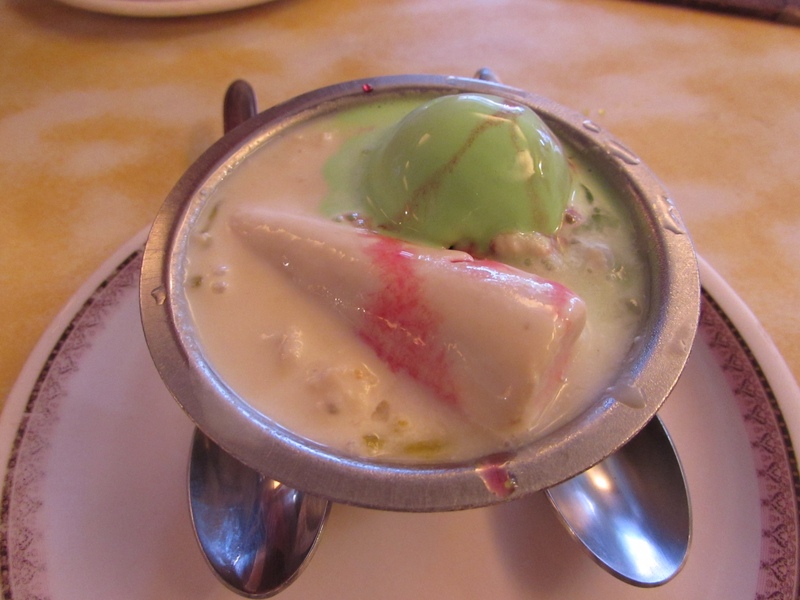 Special Royal Falooda Falooda Kulfi. 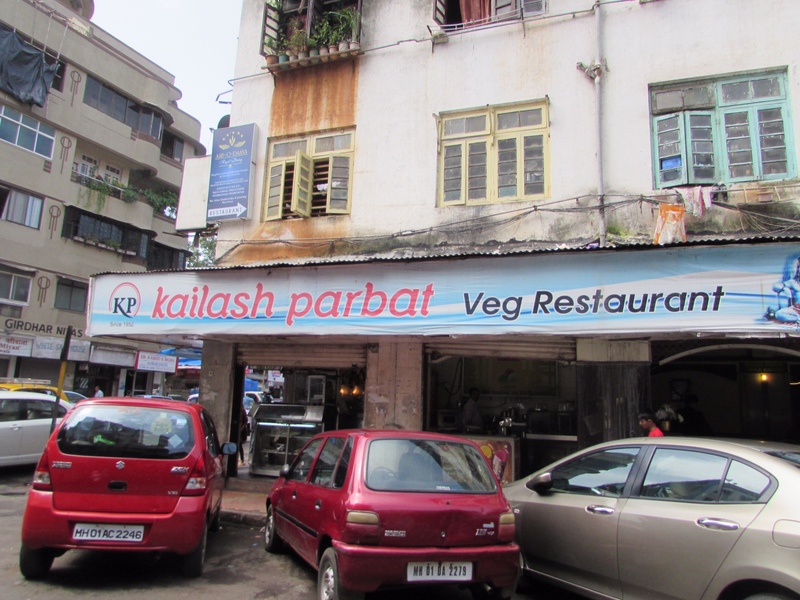 Corner of First Pasta Lane and Colaba Causeway, Colaba.